Mario Kart 8 Deluxe is here, and now that we finally have the game on hand the question arises of whether or not it's worth shelling out the extra koopa coins on Nintendo's definitive Switch edition of the original Wii U title. 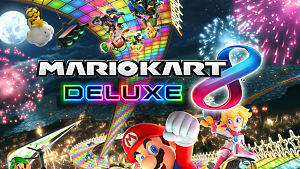 Today, we'll look at everything Mario Kart 8 Deluxe has to offer to help you make that decision for yourself -- assuming you've had the chance to get your hands on the elusive Nintendo Switch in the first place! One of the benefits of playing Mario Kart 8 Deluxe over its predecessor is the massive character roster. 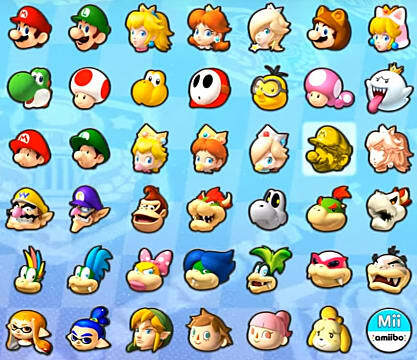 Whereas the original Mario Kart 8 had you slowly unlock its 30 character roster -- while 6 others were later released as DLC -- Mario Kart 8 Deluxe has its entire roster of 42 characters unlocked from the start. The only exception to this rule is Gold Mario (highlighted on the right) who acts as a reward for completing all 12 cups in 1st place in 200 cc. Otherwise, all the DLC characters, as well as Mario Kart 8 Deluxe exclusive characters (Inkling Boy, Inkling Girl, King Boo, Baby Bowser, and Dry Bones) are all unlocked from the start. DLC tracks and karts such as the Mercedes-Benz DLC are also included. As such, this is certainly the definitive version to buy if you don't have the DLC on the Wii U version or never got it to begin with. Balloon Battle: Pop your opponents' balloons to win. Bob-omb Blast: Collect Bob-ombs and blow your opponents to smithereens. Renegade Roundup: One team tries to capture the enemy team by biting them with Piranha Plants. Coin Runners: Collect as many coins in the stage as possible. Shine Thief: Hold the Shrine Sprite for 20 seconds to win. 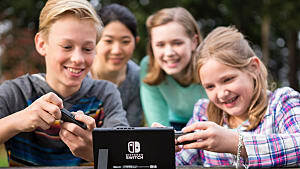 If battle mode is important to you, then it might be worth trading in your old copy of Mario Kart 8 for the Switch version. After all, Battle Mode is a great causal game mode for friends or family who don't necessary have their racing legs grown in yet. This is particularly true of the Bob-omb Blast game mode as the chaotic fun of throwing Bob-ombs all over the map in an attempt to defeat your opponents is something everyone who loves Mario Kart should experience. 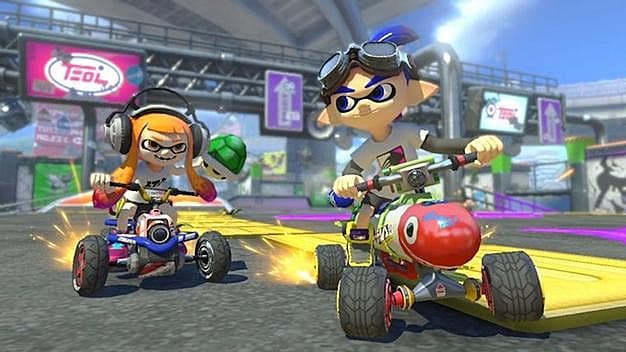 If you're not interested in Battle Mode, then you're not missing out on much as the racing is where most players will spend the bulk of their time, and at the time of this article's release Nintendo has not announced any plans for Switch exclusive DLC tracks. While players most likely never noticed this during gameplay, Mario Kart 8 on the Wii U was actually locked at a strange 59 frames per second. This was due to a bug that went completely overlooked by Nintendo -- even to this day -- where the game would run a duplicate of a previous frame every 60 frames. Most people would likely never see this in their own title since you're immersed in the action, but as GameXplain puts it in their own coverage of the issue: "once you know about it, there's no going back." 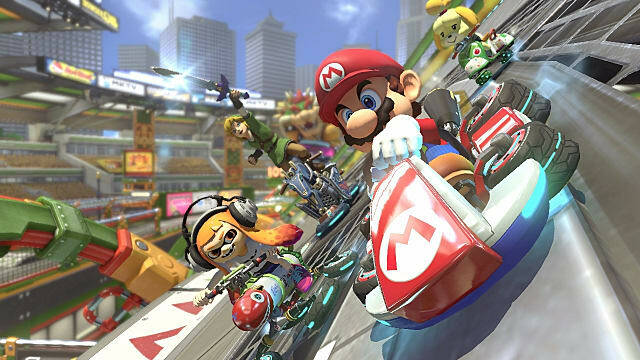 What's more, the Nintendo Switch version of Mario Kart 8 will run at a native 1080p while docked instead of the Wii U's 720p. Once again, this won't seem like much to someone who doesn't note these things easily; however, the crispness of a native 1080p resolution is difficult to turn down once you've experienced it. Impressively, the game still runs at 720p on the Switch when used in handheld mode. 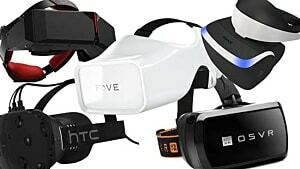 As such, it's the perfect on-the-go game if you want to play while on the road. Shown above are the stats screens for Mario's standard Kart setup with Mario Kart 8 on the left, and Mario Kart 8 Deluxe on the right. 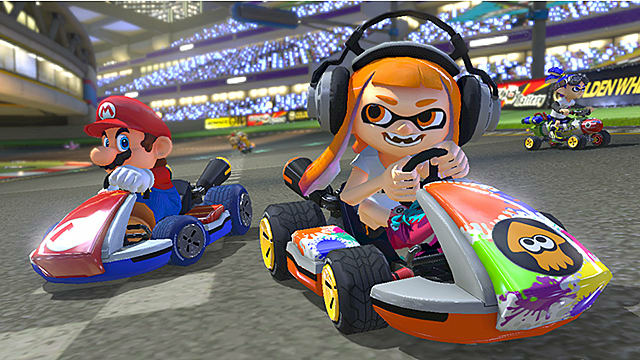 Changes to individual character stats have been made in Mario Kart 8 Deluxe as well. 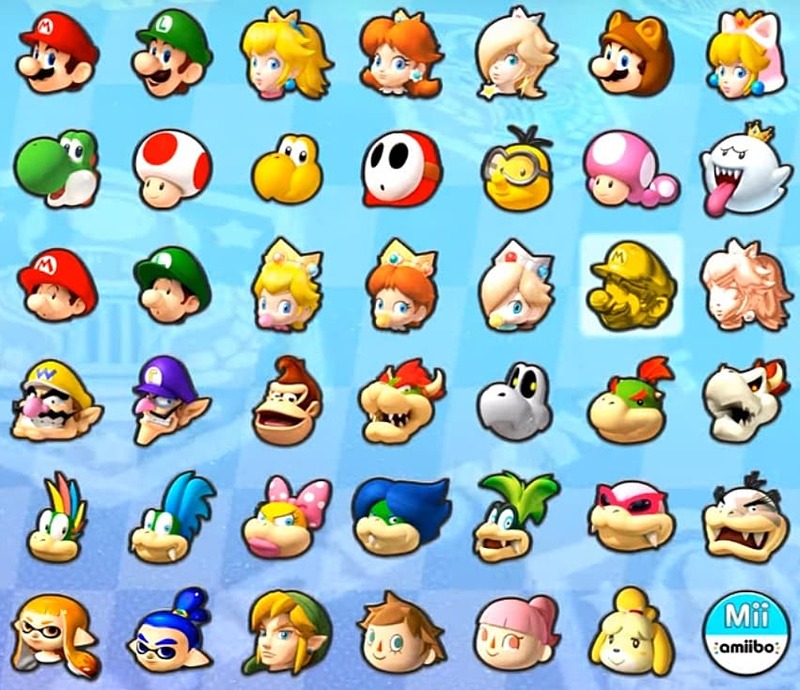 In the original Mario Kart 8, characters were divided into 3 classes that contained a total of 9 subclasses. While the divisions weren't the source of the reason for change, the Heavyweight class was particularly unbalanced since the distribution of acceleration, weight, and speed between classes was skewed to slightly favor Heavy racers. This was primarily due to the fact that Lightweights -- which are supposed to have the advantage of near-instant acceleration to make up for their lack of speed and weight - had acceleration speeds that were far too low to warrant their use. This was doubly true for the medium class whose acceleration in some cases was low enough to be considered as a heavy class, but top speed was far too low to compensate. As clearly seen, there is a great difference between classes and their statistics now. 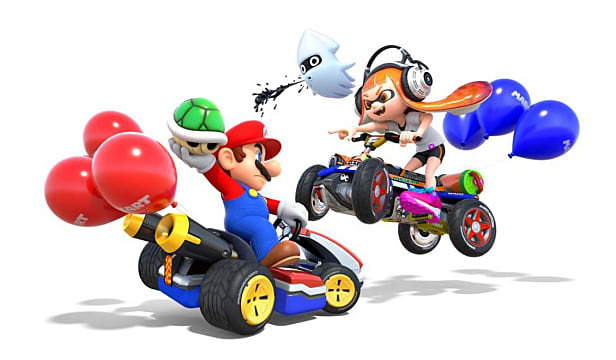 There's also quite a bit of variety in between the extremes, so if you're interested you can check out the Mario Wiki for both Mario Kart 8 and Mario Kart 8 Deluxe to see not only these stats, but also various "hidden stats" ripped out from the game's code. While Nintendo has done a good job of telling everyone what's new in Mario Kart 8 Deluxe, what they haven't been so transparent about is what has been removed. 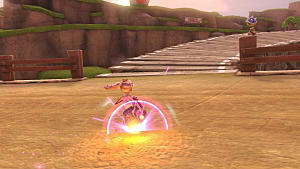 This feature is none other than what the competitive Mario Kart scene refers to as: "fire hopping" or "bunny hopping." 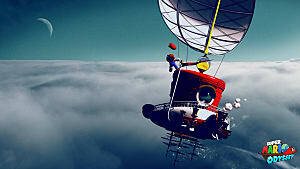 Often used in time attack and higher MMR brackets of Mario Kart 8, fire hopping is the exploit where players can abuse the game's physics to gain extra momentum while boosting. This was done by hopping into left and right drifts in rapid succession as it holds the player in the air just a bit longer, and thus makes the most of the short boosts. 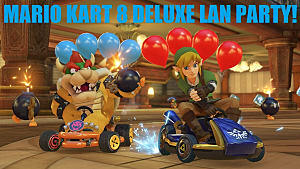 This exploit has been removed from Mario Kart 8, most likely to lower the skill ceiling in a game that isn't originally intended to be highly competitive. 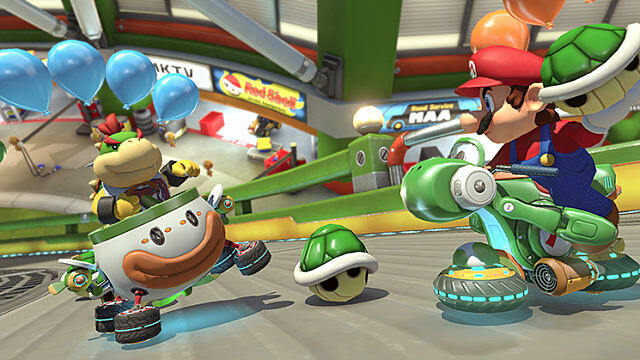 If you have a Nintendo Switch, it's hard to turn down Mario Kart 8 Deluxe since it's got everything you'd want from Mario Kart and more. That said, I personally wouldn't recommend picking up a Nintendo Switch based on this game alone unless you have other games in mind. I racked up hundreds of hours in Mario Kart 8 on the Wii U, and I imagine it will be just as easy to do so in the Switch release -- if not easier due to the game's portability. That said, will you be picking up a copy of Mario Kart 8 Deluxe? Tell us why or why not in the comments section below!